What is Senate Bill 407 and how does it effect my rental property? Senate bill requires that on or before January 1, 2017, all non-compliant plumbing fixtures in any single-family residential real property must be replaced by the property owner with water-conserving plumbing fixtures. It also requires that, on or after January 1, 201 7, a seller or transferor of single-family residential real property, multifamily residential real property, or commercial real property disclose to a purchaser or transferee, in writing, specified requirements for replacing plumbing fixtures, and whether the real property includes non-compliant plumbing. And also, on or before January 1, 2019, all non-compliant plumbing fixtures in multifamily residential real property and commercial real property, as defined, be replaced with water-conserving plumbing fixtures. The Bill also permits an owner or the owner’s Property Manager to enter a rental property for the purpose of installing, repairing, testing, and maintaining water-conserving plumbing fixtures, as specified, and would require, on and after January 1, 2019, that the water-conserving plumbing fixtures prescribed by the bill operate at the manufacturer’s rated water consumption at the time that a tenant takes possession, as specified. We can help you complete all of the necessary replacements. Contact us today to get started. This bill amends the Internal Revenue Code to allow individual taxpayers an income-based tax deduction, up to $5,000, for qualified homeowners association assessments paid during the taxable year. The bill defines “qualified homeowners association assessments” as regularly occurring, mandatory financial assessments: (1) that are paid by a taxpayer to a homeowners association for the taxpayer’s principal residence, (2) that directly benefit such residence, and (3) that arise from the taxpayer’s mandatory and automatic membership in such association. The bill requires homeowners associations to file an informational return that sets forth the name, address, and taxpayer identification number of a taxpayer from whom the association receives assessments and the amount of such assessments. Halloween’s around the corner and that can only mean one thing: a night of ghoulish revelry and ghostly fun. Los Angles, as always, seems to be ready for the night of terror as there are numerous events lined up across town. So, if you happen to be in the L.A. area or nearby, here are some Halloween events you should probably check out. Far from those kid-friendly rides through a pumpkin patch, this hayride unleashes all sorts of demons, and bogyes on Griffith Park. 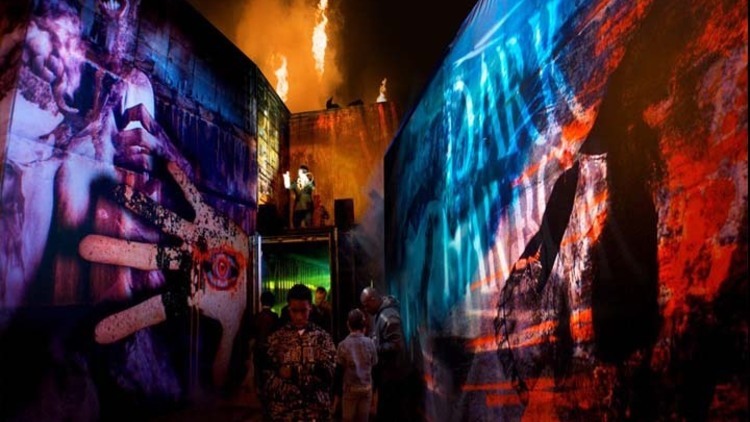 It’s an actual hayride—a long one—paired with a “scary-go-round” for wee ones (and ‘fraidy cats), a number of scare zones and a pitch black maze filled with “demons and maniacs,” and probably lots of frisky teenagers. 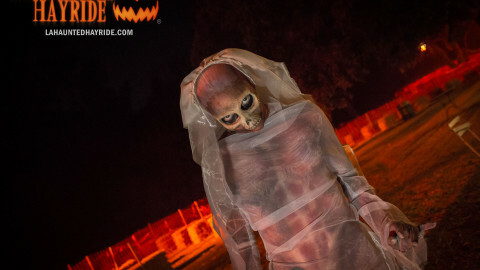 This year’s theme, “Boogeyman,” drags attendees through a trail of nightmarish characters. The only thing better than a haunted attraction is a haunted attraction on a giant boat. You’ll find all the usual horrors here—fog, mazes, and monsters—as well as a vintage Ferris Wheel and a full bar. What sets Dark Harbor apart is its use of its surroundings; the dark, cramped confines of the Queen Mary are already pretty spooky even without monsters—just be prepared to climb a lot of skinny staircases. There’s also an R.I.P. Lounge (see what they did there?) if you’re looking for a first-class experience (fewer monsters, more booze, made-to-order taco station). Tip: Arrive before 8pm for $20 “Happy Haunting Hour” tickets. Happening at the Queen Mary, 1126 Queens Hwy, Long Beach, CA 90802. Evil Twin Studios 2015 haunted attraction will make nightmares come true at a new location in South Pasadena. This Halloween season, sanity comes to die at WARD 13. Since its earliest days, rumors about the Raymond Hill Sanitarium have circulated. Rumors of neglect. Rumors of abuse. And most disturbing of all, rumors of an undocumented area where finding a cure was secondary to exploratory experimentation. This was the one thing patients feared more than death…WARD 13. Take your family on this awesome ride and watch in awe as a brilliant team of artists create objects such as celebrities, automobiles, and animals using nothing but a bunch of Jack-O-Lanterns. 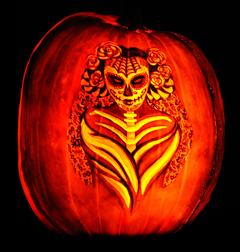 The event will exhibit over 5000 Jack-O-Lanterns that are carved by skilled sculptors and artists. This is an event that’s fun for all ages. So, go check it out at 1418 Descanso Dr, La Cañada Flintridge. The event ends on October 30th. Finding a rental in a highly desirable area can be an extremely challenging task. Running around and hunting for a place is always stressful, but if you are on the hunt for a Santa Monica rental, it can be way worse. However, finding the right Santa Monica rental isn’t impossible. The key to success lies in using the right approach and these small, but useful tips can go a long way in helping you find what you need. Before you start looking for Santa Monica rentals, sit down, relax, and make a note of things that rank high on your priority list. Decide on what specific Santa Monica neighborhood you want to live in; Main Street, North of Montana, Ocean Park, Sunset Park, Downtown or Midtown and so on. Decide on how many bedrooms and bathrooms you need. Jot down your budget. Then write out what core updates, upgrades or amenities you require. Once you get a picture of what you need, you can weed out all the locations and rentals that do not sync with your requirements. 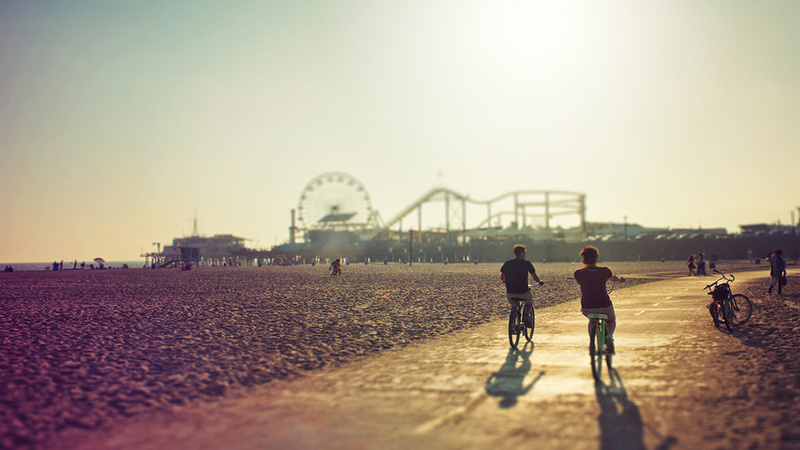 Another great way to locate Santa Monica rentals is to contact a local property management company . Property management companies work with landlords and homeowners to find good tenants for their properties. In other words, they are a very good local resource if you are looking for a Santa Monica Rental. Following these basic tips can really give you a jump on your hunt for the right Santa Monica rental. As the lazy days of summer fade and green turns to brown, a wonderful crispness enters the air. Well sometimes, this is L.A. after all. But back to my point- It’s time for fall and the last quarter of another lightening fast year. 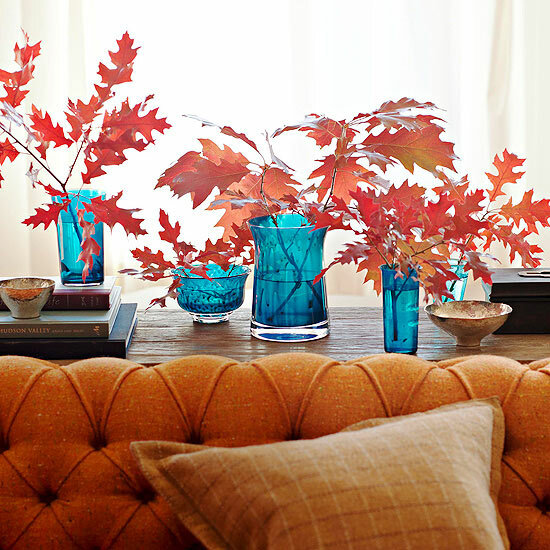 Greet these changes in style by infusing your house or apartment with some fall flavors. Take your cues from the great outdoors and learn how to bring the beauty and aroma’s of the season inside your home. When the weather turns cool and crisp, your home becomes more of a haven than ever. Adding a seasonal centerpiece to the dining table can be done quite easily and can literally transform your living space into an autumn oasis. Toss in some new throw blankets and decorative pillows to couches in cool colors, like blues, purples, and greens, to complement different shades of red, orange, and yellow leaves. Why not add some pumpkin, apple, cinnamon and spice candles to the mix. The nostalgic scents of Autumn can transform the mundane into the extraordinary. Light them up, lay back and let your mind wander to distant memories of the seasons past. After a long hot summer, now is the time to retrench and recapture the connection to the great indoors. An oasis of peace and tranquility within our homes and inside ourselves await. So go grab yourself a pumpkin latte and rejoice in the beginning of Fall 2015! Frustrated when a roommate leaves dirty dishes in the kitchen sink? Do your kids leave a mess in your home’s kitchen? Maintaining a clean home environment is everyone’s responsibility, especially if you don’t want pests to make your space their home. If you are a tenant you need renters insurance. Below are home maintenance strategies and everyday household practices to help you conserve water. By making just a few small changes, you can save a significant amount of water, which will help you save money and preserve water supplies for current and future generations. Fix Leaks – You can significantly reduce water use by simply repairing leaks in fixtures (faucets and showerheads), pipes, and toilets. A leaky faucet wastes gallons of water in a short period of time. A leaky toilet can waste 200 gallons per day. That would be like flushing your toilet more than 50 times for no reason! If your water heater tank leaks, you may need a new water heater. Avoid over-watering your lawn or garden. Using moisture sensors to determine watering needs is a better strategy than using a fixed schedule or estimating watering needs based on rainfall. In addition to wasting water, over-watering can increase leaching of fertilizers into groundwater, and can harm your lawn and plants. Water new trees and shrubs longer and less frequently than shallow-rooted plants, which require smaller amounts of water more often. Use soaker hoses or drip irrigation systems for trees and shrubs. Position automatic sprinklers to water the lawn and garden only-not the street or sidewalk. Water your lawn or garden during the coolest part of the day (early morning is best). Watering when it’s hot and sunny is wasteful because most of the water evaporates before the plants have time to absorb it. Also avoid watering on windy days. Minimize or eliminate chemical fertilizing, which artificially promotes new growth that will need additional watering. When outdoor use of city or well water is restricted during a drought, use the leftover water from the bath or sink on plants or the garden. Don’t use water that contains bleach, automatic-dishwashing detergent, fabric softener, or other chemicals. Incorporate compost into the soil to help improve water absorption and retention. Use mulch around shrubs and garden plants to reduce evaporation from the soil surface and to cut down on weed growth. Wash your bike or car with a bucket and sponge instead of a hose to save water. A hose can waste 6 gallons per minute if you leave it running, but using a bucket and sponge only uses a few gallons. Alternatively, consider using a commercial car wash that recycles its water, rather than letting it run off into sewer drains. Use a pool cover to reduce evaporation when a pool is not being used. Consider purchasing a new water-saving swimming pool filter. Sweep driveways, sidewalks, and steps rather than hosing them off. Do not let water run unnecessarily. Letting your faucet run for five minutes while shaving or brushing teeth uses about as much energy as letting a 60-watt light bulb run for 14 hours, and uses up to 8 gallons of water a day! Take short showers instead of tub baths. A shower only uses 10 to 25 gallons, while a bath takes up to 70 gallons! If you do take a bath, be sure to plug the drain right away and adjust the temperature as you fill the tub. Wash only full loads of laundry or dishes, and select the appropriate water level or load size option on the washing machine or dishwasher. Do not use water to defrost frozen foods; thaw foods in the refrigerator overnight. Scrape, rather than rinse, dishes before loading them into the dishwasher. Compost food waste instead of using the garbage disposal or throwing it in the trash.